1 or 2 separate beds, shower and sink but toilet outside. 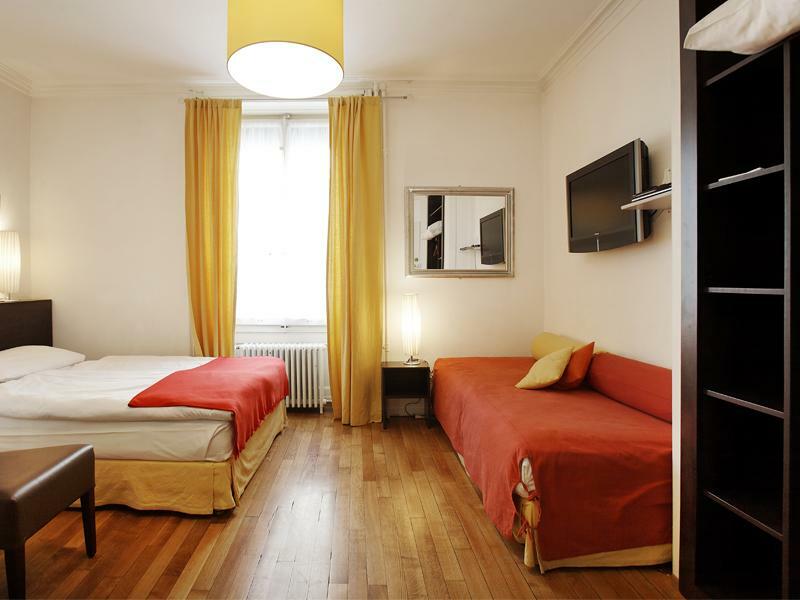 Our quietest rooms... Overlooking an inner courtyard, you're right in the heart of Geneva yet won't hear any traffic noise. 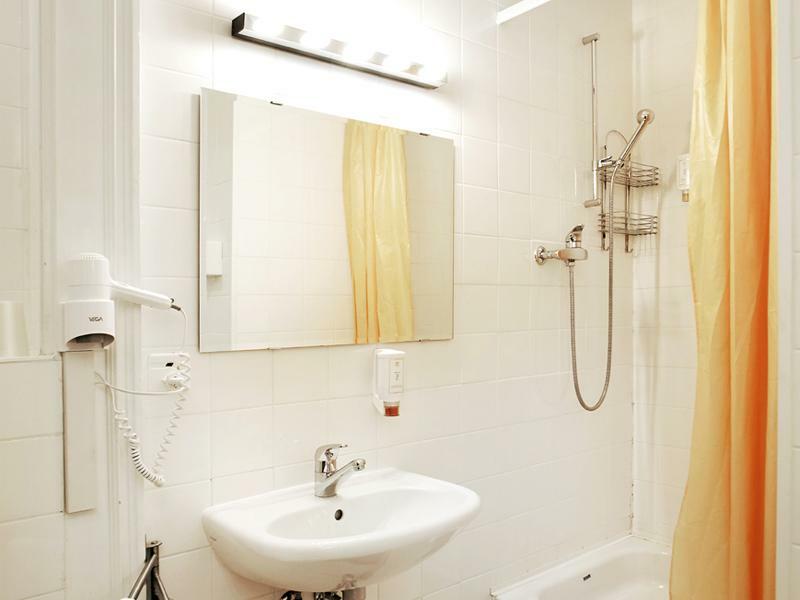 Well equipped with a light, brightly coloured bathroom, with shower and WC. 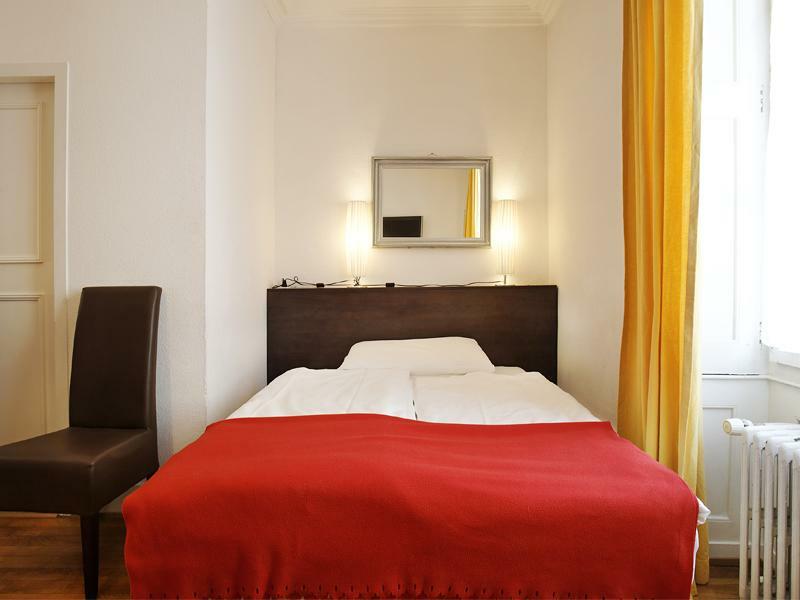 Cable television, direct line telephone and wireless ADSL Internet, for one or two people from CHF 110 to CHF 140.- depending on the season, including breakfast. 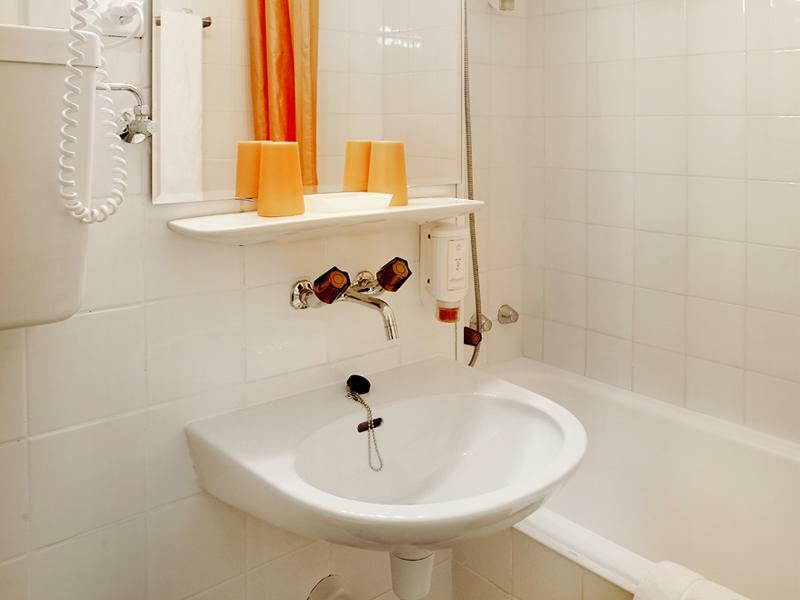 All rooms have a personal safe, mini-fridge, cable television, LCD screen and DVD player, telephone with direct line, Internet connection and hairdryer in the bathroom. 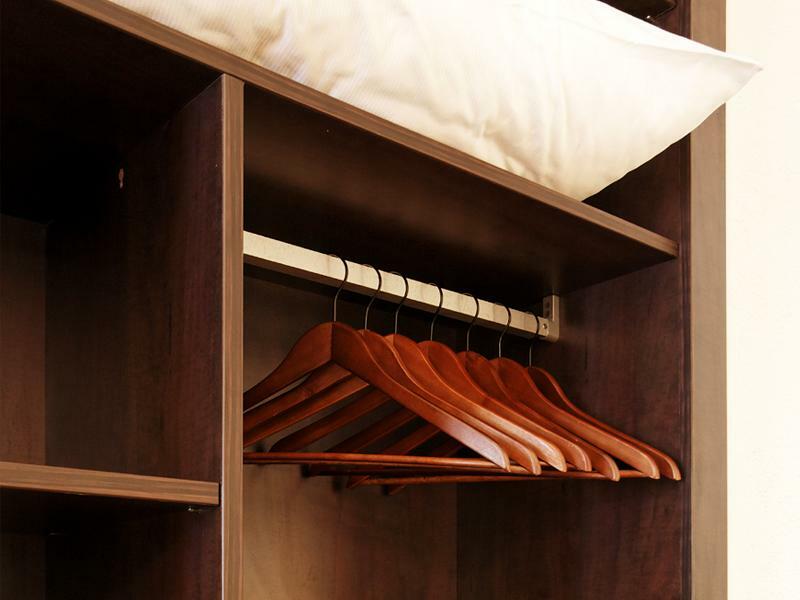 All our rooms have a personal safe, mini-fridge, cable television, LCD screen and DVD player, Telephone with direct line, Internet connection and hairdryer in the bathroom. 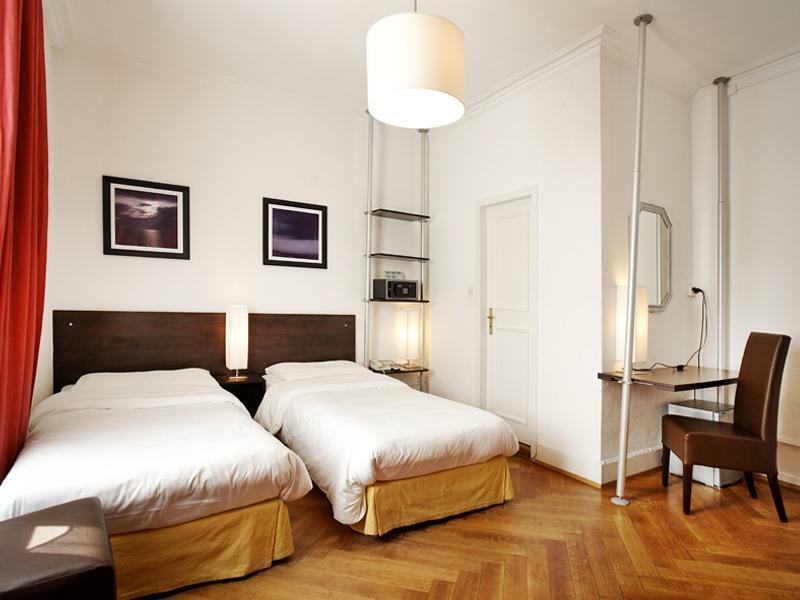 Option of two twin beds or one double bed. Come and stay for a few days, a few weeks or a few months... Our studios include a lovely large bedroom, a light, colourful bathroom with bathtub, and a separate small kitchen. They all have cable television, direct line telephone and wireless ADSL Internet. From CHF 180 to CHF 250.- depending on the season, including breakfast. 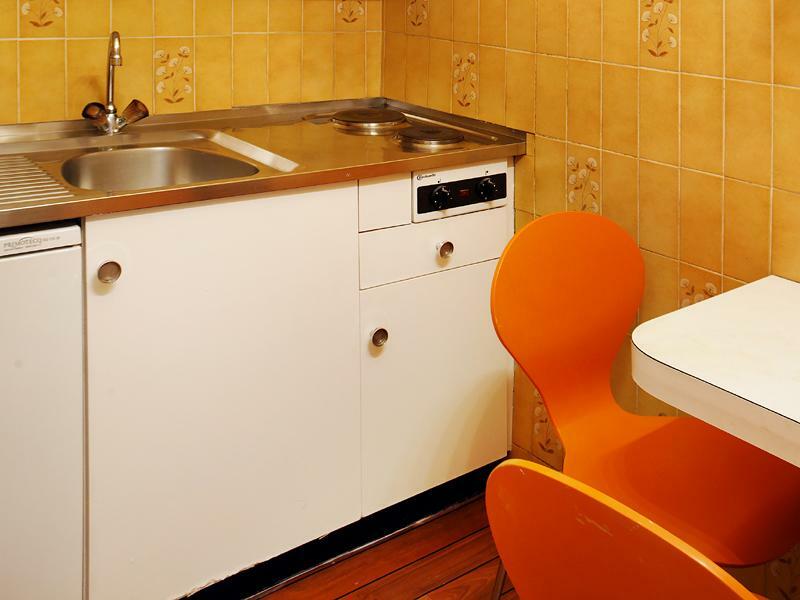 All our rooms have a personal safe, mini-fridge, cable television, LCD screen and DVD player, Telephone with direct line, Internet connection and hairdryer in the bathroom. 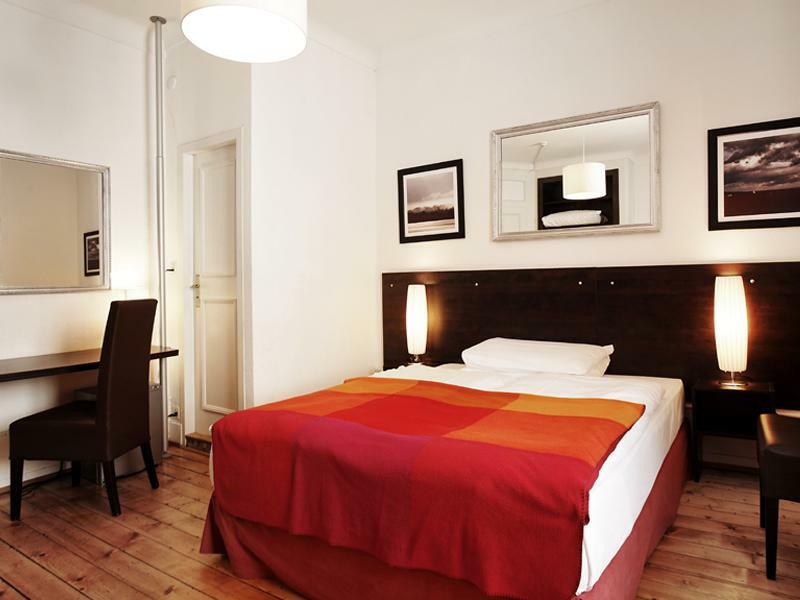 Most of our rooms have a double bed and a single bed, only one has three single beds. Come and stay for a few days, a few weeks or a few months... Our studios include a lovely large bedroom, a light, colourful bathroom with bathtub, and a separate small kitchen. They all have cable television, direct line telephone and wireless ADSL Internet. 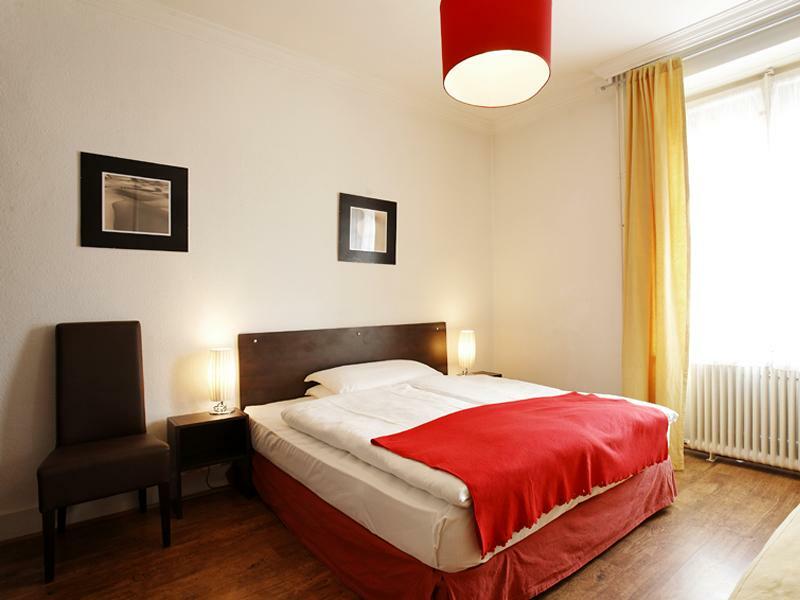 From CHF 190 to CHF 270.- depending on the season, for one to 3 people, including breakfast. Reasonably priced offer!! 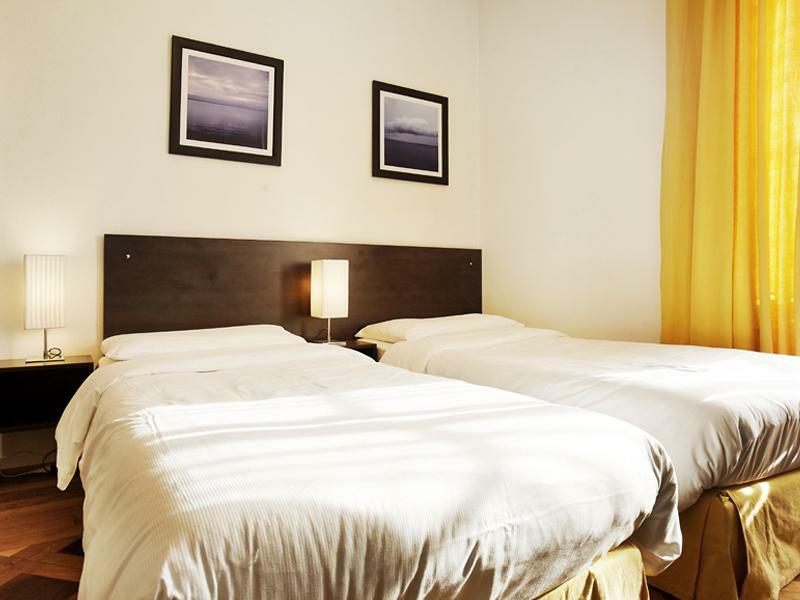 These large rooms have a large space for one or two extra beds, usually designed for a sofa, for parents and two children or a group of four adults. All these rooms have a light, cheerful bathroom, with cable television, direct telephone line and wireless ADSL Internet access. A stone's throw from the lake and station and close to the best shops, our hotel is ideally located in a very lively district in the heart of the city. Within the floors of a classic building, the hotel offers the charm of high ceilings and old parquet flooring, while the decor and lighting are distinctly contemporary. 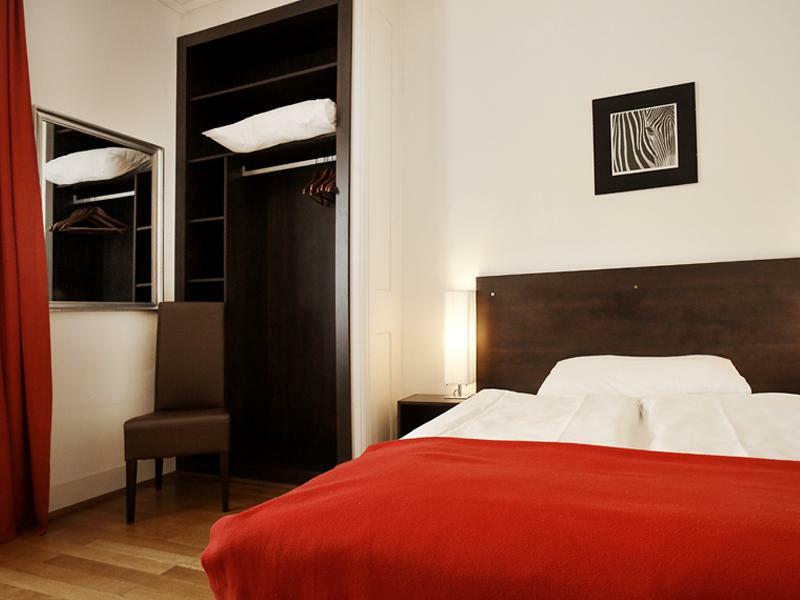 The different types of rooms we offer suit the needs of both business travellers and tourists. Comfortable and all very well appointed, we offer excellent value for money. We look forward to welcoming you into a friendly and informal atmosphere and will do our utmost to make sure your stay with us is a success and that you feel right at home in the Torhotel.